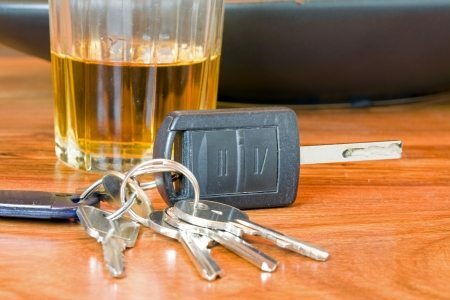 Life After a DUI: What Next? After a DUI arrest, it’s normal to wonder what to expect and what will be next for you. Anticipate a number of changes to your life and daily routine. However, if you’re prepared, you can make informed choices about how to handle the aftereffects of DUI charges. Here’s what you should know about what comes next after a DUI arrest. Drug and alcohol counseling is fairly standard in cases of a DUI, although sometimes it may be alcohol counseling. These special programs last for many weeks or even a few months. They are mandatory — unless there’s a real issue preventing you from completing the program successfully. Attend as many counseling sessions as possible and only miss classes when you are ill or when an unavoidable issue, like the death of a loved one, occurs. In some cases, your attorney may argue for counseling in exchange for a reduced sentence. Therefore, it’s imperative to attend. Transportation is often one of the most difficult things to arrange after a DUI arrest. If your license was suspended, you could apply for a hardship license. This license allows you to drive yourself to and from your place of employment. However, if you are not approved for the hardship license, be prepared to take public transportation. While public transportation in Rancho Cucamonga is available, there’s an additional cost and time factor. However, don’t be tempted to drive yourself even if public transportation is difficult. Driving on a suspended license could get you in more trouble if you’re caught. Another consideration after being convicted of a DUI is your job. If you take a lot of time off for court proceedings or frequently arrive late because of public transportation, your job may be in jeopardy. Securing a new job may also be difficult because you now have a criminal record. It’s in your best interest to take advantage of career counseling or job placement services in the area. At Rancho Cucamonga Criminal Defense, we can help you avoid many of the consequences following a DUI arrest by avoiding a conviction. Contact us today for a consultation at 909-689-4292.